The Reporoa Caldera occupies the northern end of the Reporoa Depression, previously described as a tectonic fault-angle depression. 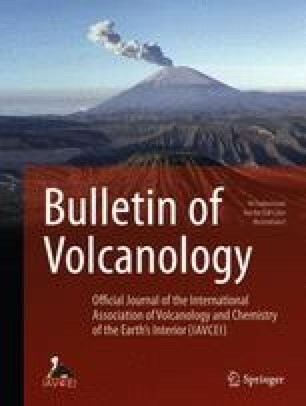 Earlier confirmation of the topographic basin as a caldera had been hindered by the lack of an associated young pyroclastic flow deposit of large enough volume to have caused caldera collapse. New exposures on the eastern margin of the Reporoa basin reveal thick lithic lag breccias (>30 m) interbedded within the 0.24 Ma Kaingaroa Ignimbrites. These ignimbrites were previously attributed to the adjacent Okataina Volcanic Centre. Lag breccia thicknesses and maximum clast sizes decrease rapidly outward from the caldera rim, and discrete breccias are absent from ignimbrite sections more than 3 km from the rim. The lithic lag breccias, together with structural and geophysical evidence, confirm Reporoa Caldera as the source of the c. 100 km3 Kaingaroa Ignimbrites, adding another major rhyolitic volcanic centre to the seven previously recognized in the Taupo Volcanic Zone. Other, older, calderas may also be present in the Reporoa Depression.